What do you know about Malcolm X? That he was one of the many people who fought for the rights of Blacks in the United States during the Civil Rights movement or that he was a man of violence? Whatever it may be, positive or negative, we all have to agree that he was a man of many beliefs and a strong compassion for justice. Born Malcolm Little, in his early years, he was exposed to the idea of Black Nationalism due to his father, a minister. This shaped his future views when it came to societal changes and the views of being Black in the United States. Negative views came in the beginning, and after his time in prison, education became his friend and so did a new found religion: Islam*. Elijah Muhammad. The founder of the Nation of Islam. Malcolm X soon became the spokesperson for the group that believed that the “white society actively worked to keep African-Americans from empowering themselves and achieving political, economic, and social success.”* And while that may have been true for a few of the racist and bigots at the time, grouping a whole race into a certain category, as we all know, is wrong. That mindset is the same some whites had at the time, and even now, which made them atrocious people and when the tables are turned, we are just as bad if we do the same thing. 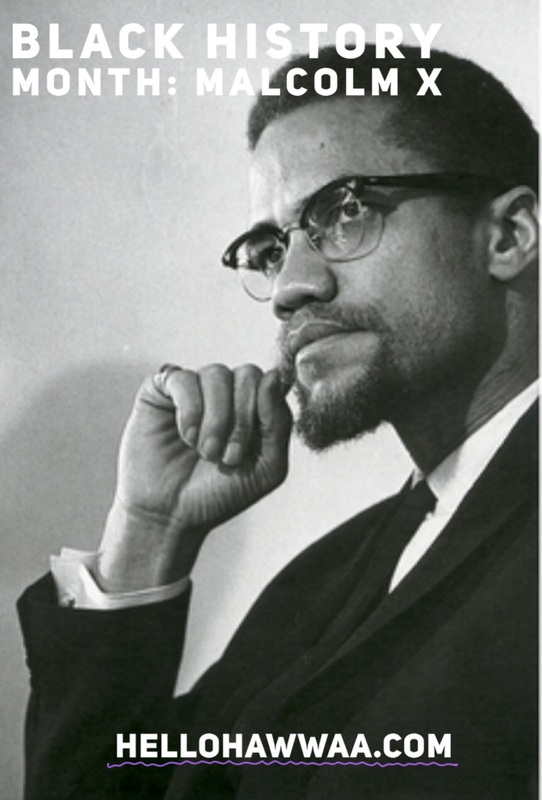 Eventually, Malcolm X’s ties with the Nation of Islam were broken as he took his pilgrimage to Mecca and discovered a new meaning of life and the true meaning of Islam. It was the realization that we, as humans, should not be pulled apart, but brought together. He had a new hope of equality with people who have different colors and creeds from him. He soon understood that no race is better than the other and life was meant to be lived with a purpose. Shot fifteen times on February 21, 1965, 39-year-old Malcolm X died. Some will love him, some will hate him. He was a man who shaped the views of many people. Like everyone, we went through hards times that eventually made him the person he was known to be at the end of it all. Although his life was short-lived, he will forever be a figure we can keep in mind when we say the words “Change”. And change is favorable. Negative views are constantly being associated with Islam. Then and now. It is extremely hard for people to understand something if they are never exposed to the genuine thing. The news and other publications can continue to degrade a whole religion and while some people may believe it, those who open their ears to what people actually have to say will realize that positively is everything anyone wants nowadays. We come in peace.